The beauty of Rio de Janeiro has been repeatedly sung about. The astonishing beaches of Ipanema and Copacabana have acquired fame all over the world. No surprise this city was nicknamed “Ciudade Maravillosa”, or “Wonderful City”. Anyone who has ever been to Rio de Janeiro, will agree, this city is a treasure worth discovering! No city skyline is affected by geography as much as the Rio de Janeiro skyline. While the statue of Christ the Redeemer undeniably dominates the city, it is its location by the Atlantic coastline with some of the world’s most stunning beaches, the large extent of tropical jungle (Tijuca Forest) and many sloping hills that creates its amazing urban panorama’s. Honestly, the beauty of the Rio de Janeiro skyline mainly needs to be credited to nature, not man. It truly is natural beauty at its best! There are numerous places where you can enjoy beautiful vistas of this spectacular city. 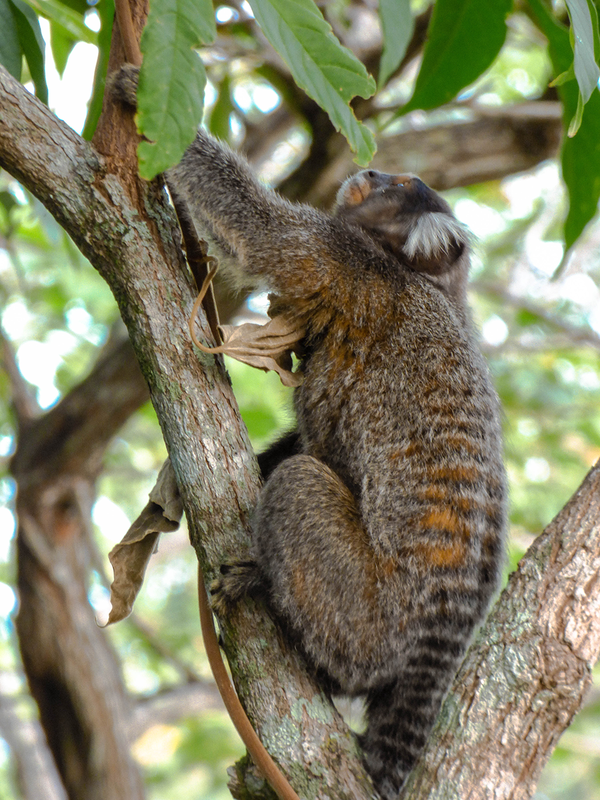 We’ll introduce a number of them that we discovered during our travels. Therefore, we do not recommend to visit the statue in the middle of the day, as waiting hours can go up to 3 hours with no shade in sight to hide from the blazing sun. Better to visit right at opening time, when there is still some cool air lingering from the night before. This early you still have some space at the top to move about and hardly any queues. The benefits of getting up early are vast, since you get a better view from the statue up close and with it a stunning 360 degree view over the majestic city below. 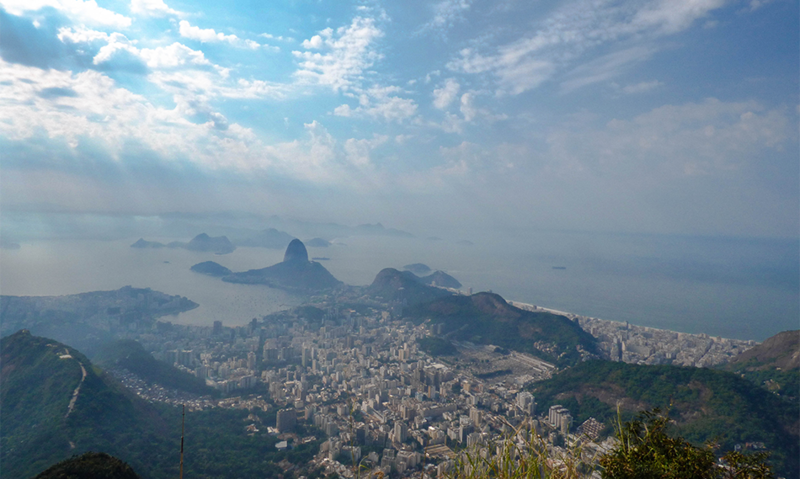 In our opinion the most idyllic place to marvel at the Rio de Janeiro skyline is from Sugarloaf Mountain. The views from the top are stunning, but the best part of the experience is the two part trip to the summit on a glass-paneled cable car, which provides the perfect vantage point to see the city. More adventurous travellers can hike the first part of the trip but beware! You need to buy your ticket for the second half of the cable car ride at the first station as it can’t be bought at the middle station. The hike itself is not very long but can be hard due to the oppressive humidity. We didn’t know what to make of it at first. Not much effort was needed for us to get soaked through our shirts. A phenomenon we experienced during our entire stay in Brazil. 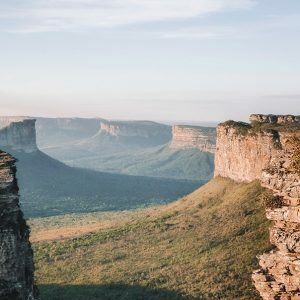 From the top of Sugarloaf Mountain you are rewarded with a magnificent view of several beaches, the more famous areas of the city and Christ the Redeemer! 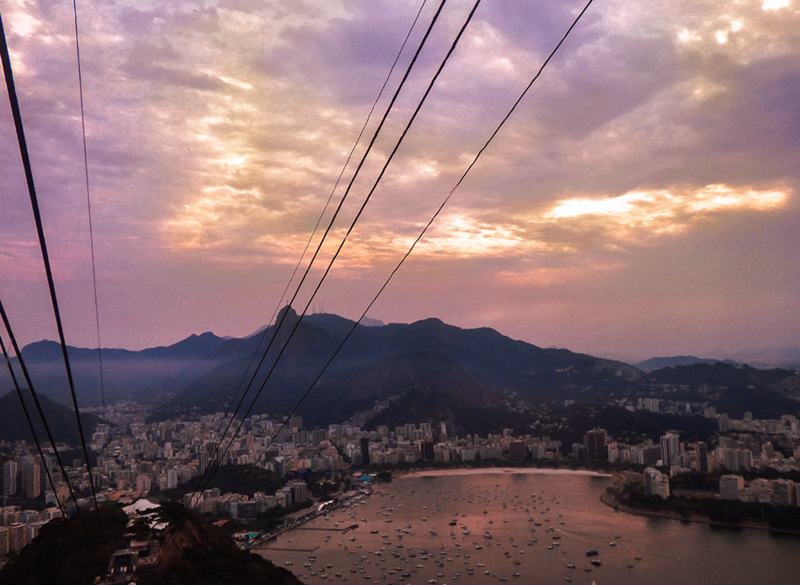 A Visit to Sugarloaf Mountain during sunset can be a magical experience. The setting sun colours the various mountains, water and many homes with a wonderful golden glow. We ourselves decided to go down before it went completely dark, as we visited Sugarloaf Mountain on foot. If you join a tour or take a taxi back to your accommodation, you might want to stay after dark when the city changes its décor and transforms into a sea of twinkling lights! Definitely another of the most beautiful hikes we did on our trip to Brasil is Dois Irmaos. 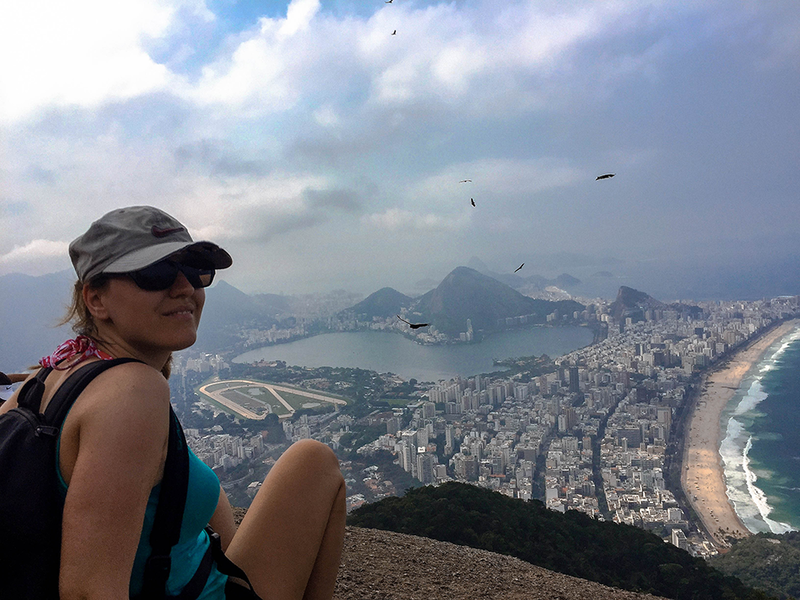 The hike starts at the top of the Vidigal favela and it takes about an hour and a half to get to the top of Dois Irmaos. Check out this website for excellent directions. 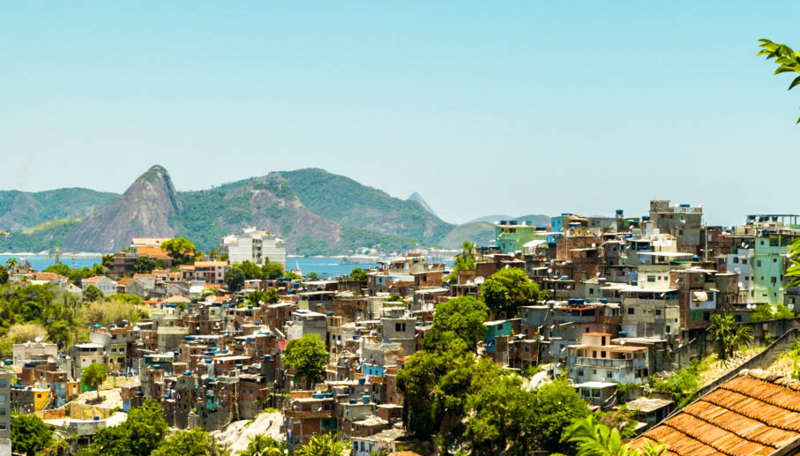 Our efforts were rewarded with several breath-taking views of Rio’s largest favela Rocinha and Sao Conradoas as well as Barra de Tijuca. We did not experience the favela as dangerous. Hands down, it felt much safer than walking around the pelourinho after dark in Salvador da Bahia. 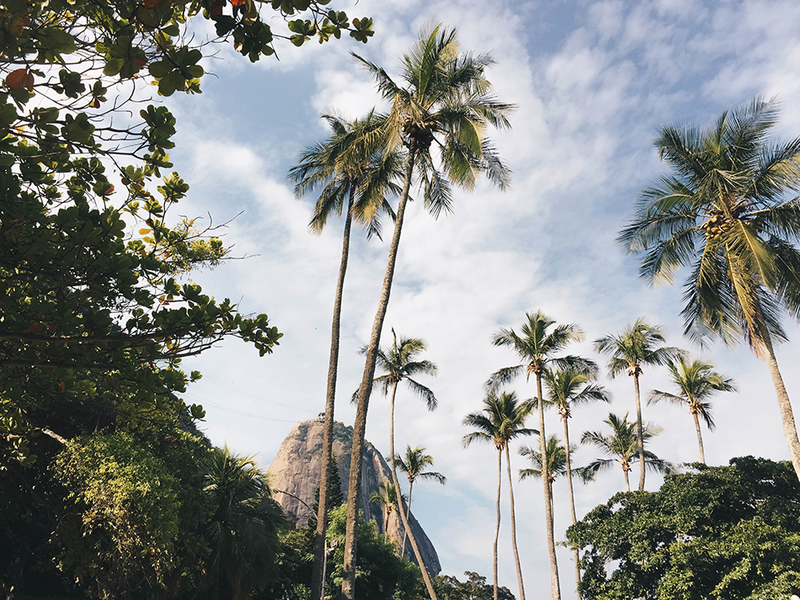 Once you reach the top you have spectacular views over Ipanema, Copacabana and if the sky is clear even Sugarloaf Mountain. So try to choose a clear day to do this hike as this was by far our favourite viewpoint of the entire city!. If you have some energy left after this hike, walk back down to the foot of the Vidigal favela instead of taking a van or motor-taxi. 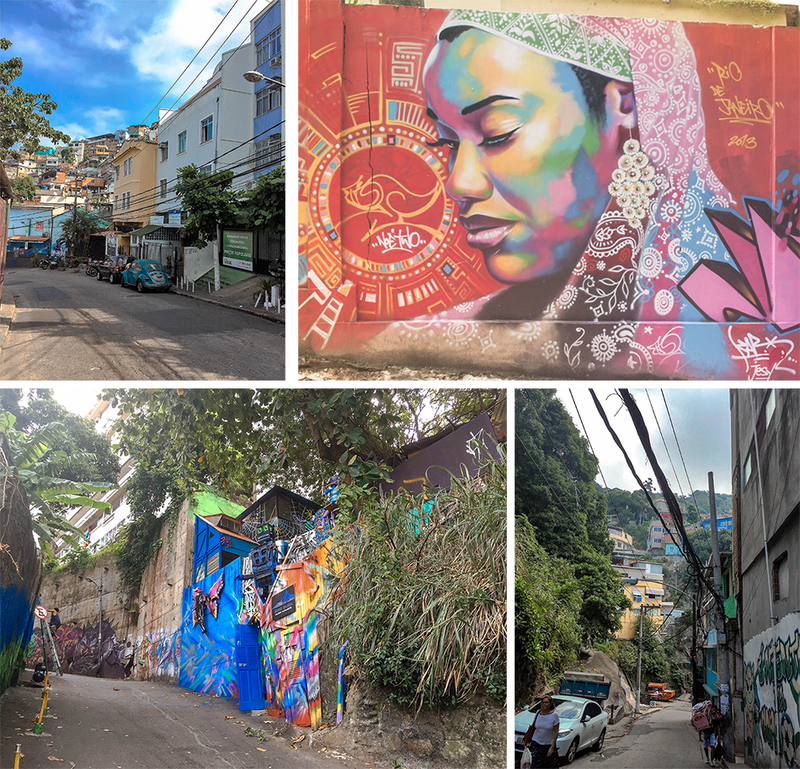 There is some gorgeous street art to discover and it’s a relatively safe way to discover the favela on your own! 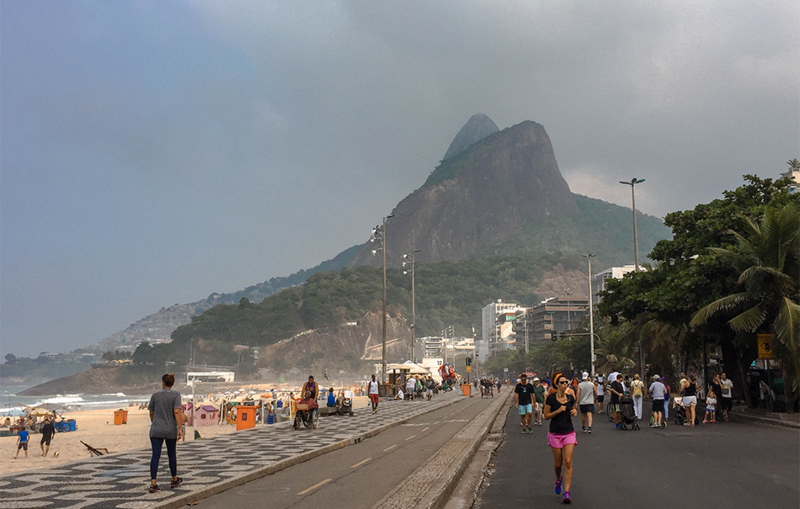 We found this was the best way to discover some of Rio’s culture without the hordes of tourist fighting for a good selfie spot. The pictures taken here totally give off a different vibe and adds that little extra when you’re putting your photo album together. It’s difficult for us to form an opinion on Santa Teresa. On the one hand, it seems a very cosy neighbourhood with a bohemian vibe to it, but on the other hand, we found it’s not always very safe. What is undebatable are the spectacular views you have from up this hill, though. 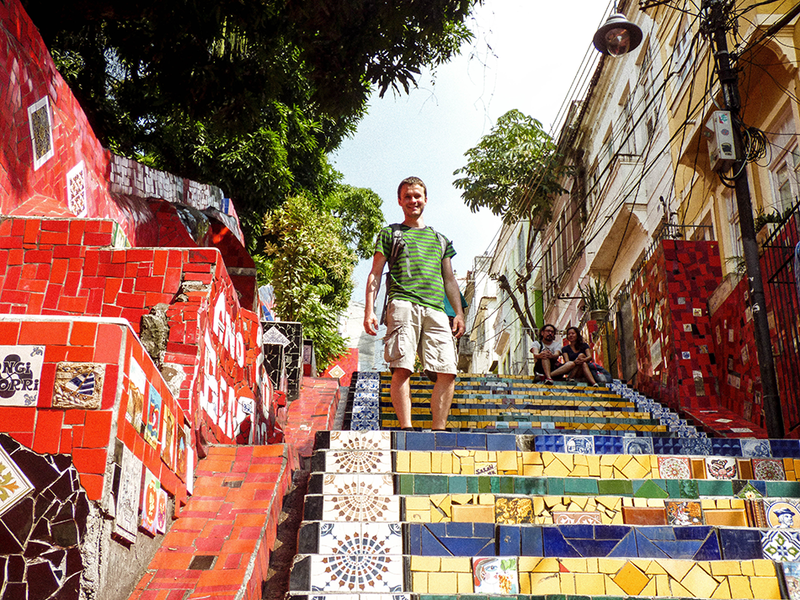 When you visit the famous Selaron Steps, continue to the top of the hill into the Santa Teresa neighbourhood. It is only a 10 minute walk and well worth the effort. The streets can be quite steep but you are rewarded with some fantastic views of the city centre below and some fine street art along the way. 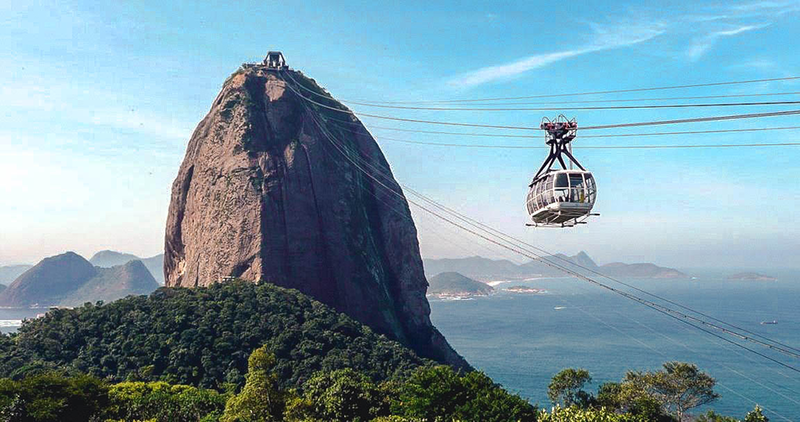 Of course there are countless of other things to do in Rio de Janeiro. Ultimately it just depends on how much time you have to spend! 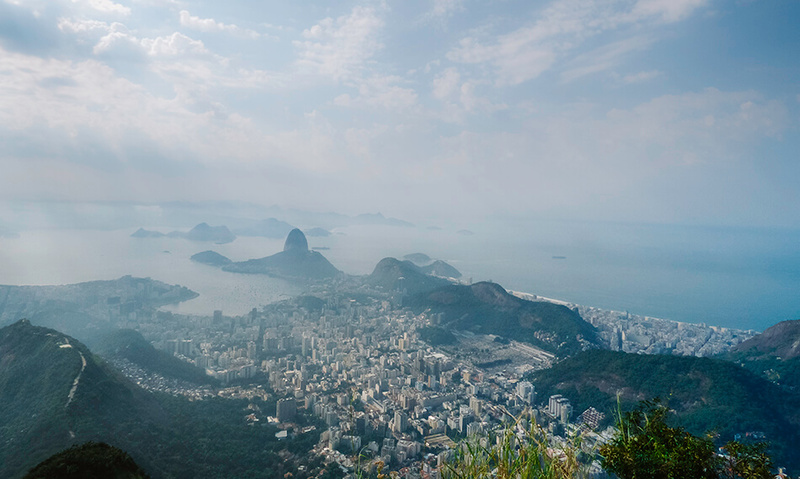 What are your favourite viewpoints in Rio? We love your blog, so we've nominated you for the Blogger Recognition Award! Happy you like our post! Christ Redeemer is fantastic as are the views, you are so goinh to enjoy it! Oh wow that's amazing! Thanks for nominating our blog! You'll not regret it, such an amzing and vibrant city! wow you captured such pretty pictures! brazil has been on my list for so long! Wow! I've never been to Brazil! But sounds great! I would love to visit! 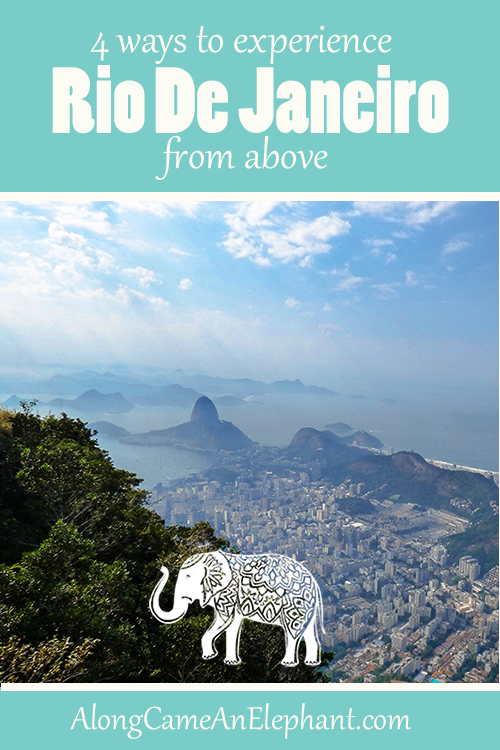 Rio is super high on our must visit list!!! I've heard of the christo and the beaches but not these other sites. The other sites are equally amazing Harmony! 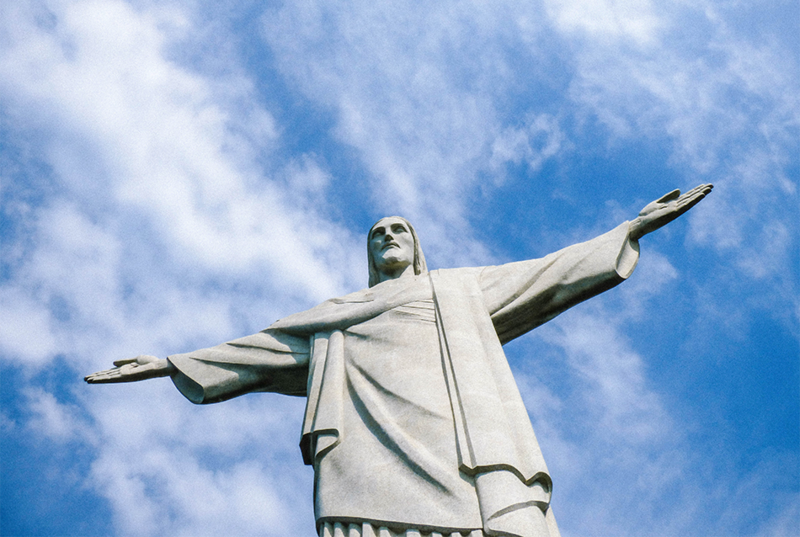 Keep an eye on our blog for more posts about Rio and Brazil! Aw thank you! 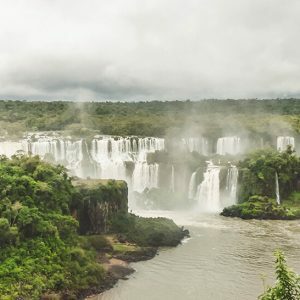 You should definitely go, Brazil is so diverse and vibrant! It's so so so worth going! It sure is Sheree! The city is so scenic and beautiful and looks totally different from above!